Matthew’s Kitchen is a local seafood restaurant sourcing the freshest and most sustainable fish and shellfish from Billingsgate Market served up in a modern, simple style at prices that won’t break the bank. 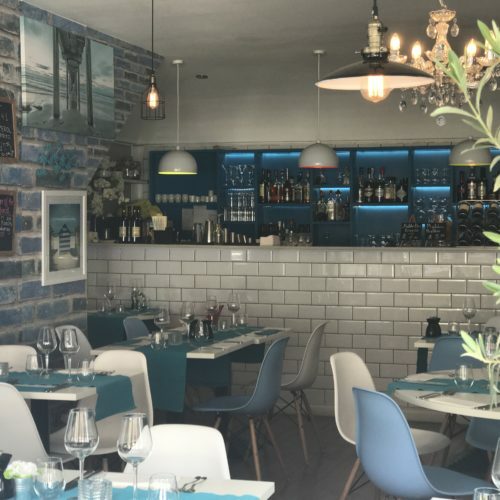 From the moment you enter the restaurant you feel you are on holiday either on the Cornish or Mediterranean coast. Bright white and blues and clever lighting are mood lifting and create a sense of ease and calm. The place is cosy and intimate with slick, friendly service and superb food with plenty of gluten free and vegetarian options. Standout dishes include seafood linguine and they even have their own oyster bar. Children are welcome and a children’s menus is available.